Police and members of Border Guard Bangladesh (BGB) arrested a leader of Myanmar rebel group ‘Arakan Army’ from Islampur area in Rajasthali upazila on October 14, at about 3:00am, according to Wahidullah Sarker, officer-in-charge of Rajasthali Police Station. Rannin Soe (45) – a Burmese origin and a commander of Burmese rebel group “Arakan Army”, a local doctor and a Netherlands expatriate – had been charged under the Anti-Terrorism Act for the attack by Arakan Army forces on a Bangladeshi border patrol, which left one guard injured, Wahidullah said. Ranin Soe was also charged for staying illegally in Taidong para, a hill town in the district near the frontier with western Burma, Arakan (Rakhine) state, Wahidullah more said. Renin Soe came Rajasthali as a political refugee in 1996-97, when Burmese army started cracking down on rebel in Arakan (Rakhine) state, rented a house in Taidongpara and mixed in with the local population and Arakan Army members visited Renin Soe at his house, according to a local newspaper quoting Dev Datta Bikash Tonchongya, a Rajasthali resident. “Ranin Soe used to operate a medicine shop in Rajasthali. 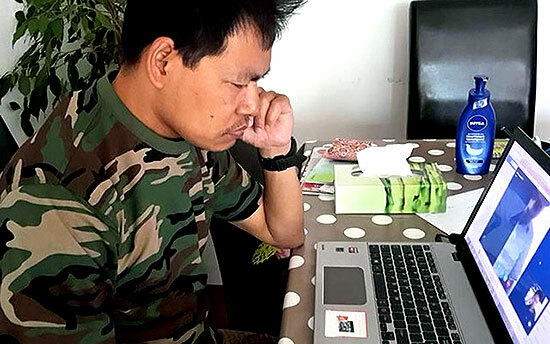 He married a local woman and lived in the Netherlands after getting asylum,” Tonchongya said. 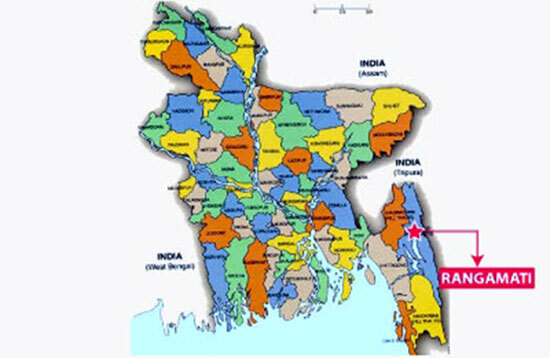 According to Md Shahidullah, the additional superintendent of police (crime) in Rangamati, during the past 18 years Renin Soe made frequent visits to the region from the Netherlands, and he stayed at a house in Rajasthali. “He has been a leader of the rebel group “Arakan Army”. We have recovered his Dutch passport, one laptop, two mobile phone sets, Arakan Army uniforms, some Indian currency and papers from his possession,” Shahidullah said. Rannin Soe confessed to his involvement with Arakan Army –a Burmese rebel group, and living in Rajasthali since 1997, the police official said. Meanwhile, Renin Soe was put on a five-day remand in a case filed under the Anti-Terrorism Act by Chief Judicial Magistrate Sabrina Ali passed the order when police produced him before her court seeking 10 days’ remand. Aung Nu Young, (25) – Rakhine, an aide to Ranin Soe , a suspected Arakan Army member, was held from Ranin Soe’s Rajasthali house and Cha Sui Aung Marma and Mong Cha Aung Marma, caretakers of the house of the house in Taidongpara were nabbed on August 27-28, then the police hunting Ranin Soe to arrest, said Shaidullah. “The Arakan Army is basically a rogue element. 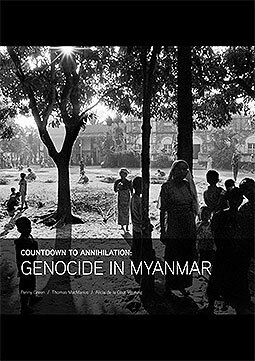 They want a homeland comprising the Arakan state of Burma and some parts of Chittagong (Bangladesh). They cannot achieve success because both Burma and Bangladesh are very tough on them,” according to Ashfaqur Rahman, a former Bangladeshi career diplomat and Southeast Asia expert. “We were using the horses to carry food and medical supplies. We asked BGB to return the animals but BGB refused, and fighting started in the Barha Madok area of Thanchi,” The Myanmar Times quoted Arakan Army Lt. Col. Nyo Tun Aung as saying. “We have already explained to the Bangladeshi government that the Arakan Army is not the enemy…,” Arakan Army Lt. Col. Nyo Tun Aung said, according to The Irrawaddy on August 28. On August 26, a group of Arakan Army attacked a Border Guard Bangladesh (BGB) patrol team in Thanchi of Bandarban where a BGB member was injured. After the incident, Rannin Soe went into hiding. The Arakan Army is fighting Burmese government forces to carve out a separate state in Rakhine state. 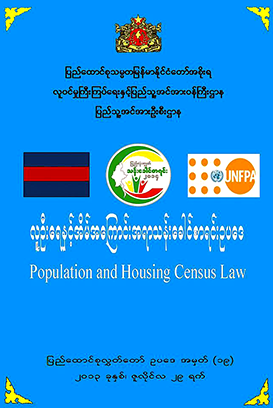 Established in April 2009, its mission, among other goals, is to fight for the self-determination of “the people of Arakan” and safeguard their national identity and cultural heritage, according to its official website. This entry was posted in English, News and tagged AA, Arakan, Arakan Army, arrested, Bangladesh, BGB, Police, Rakhine, Rohingya. Bookmark the permalink.